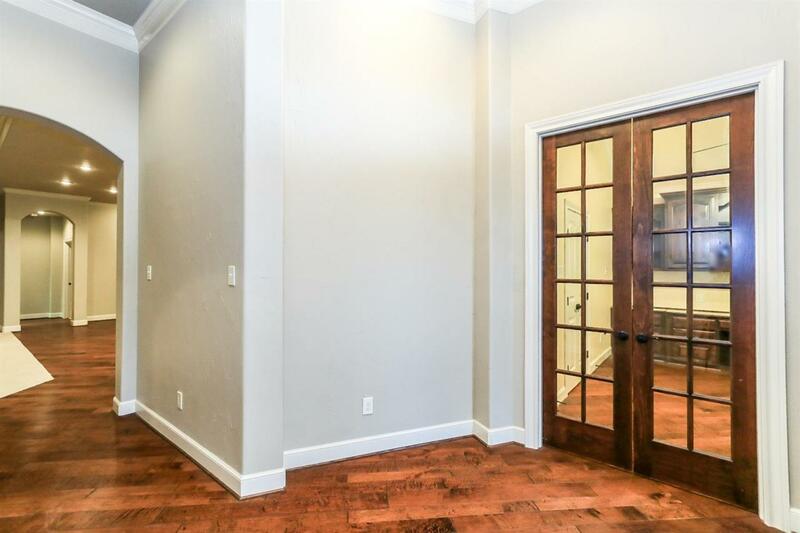 Enter a Dan Wilson custom built garden home in Orchard Park through a distinctive 42 inch door into a foyer with beautiful hardwood floors leading to an open grand living room. A stone fireplace with customized built in cabinets on either side and surround sound for your entertainment. The Master suite has a bay window with a special ceiling; separate vanities, a large whirlpool tub and walk-in shower plus a tremendous closet. The kitchen is open to the living and dining area with granite countertops. You may also step out onto the covered patio with remote control screens. The utility offers a sink, ironing board and space for washer/dryer and freezer. 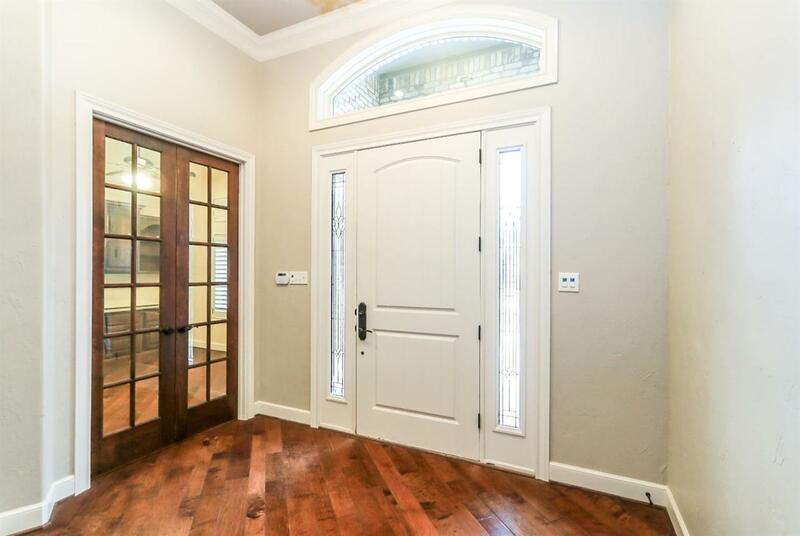 The office is at the front of the house with custom built cabinetry and a large walk-in closet. 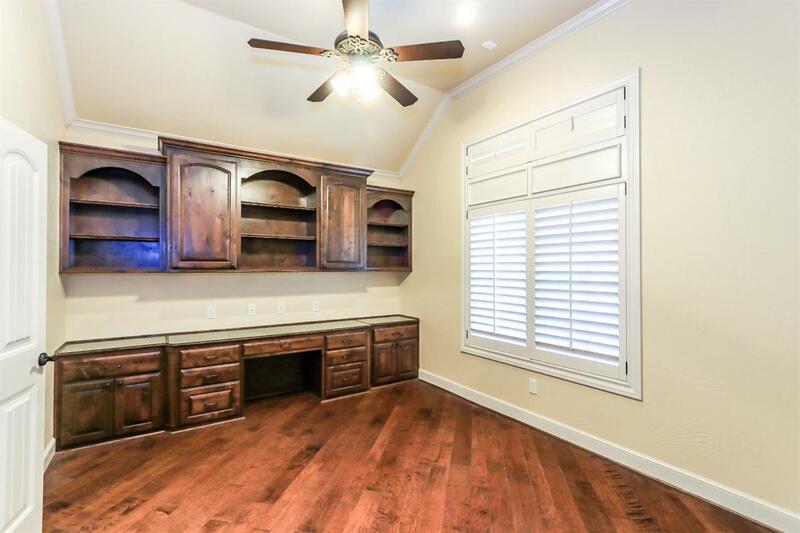 You will find additional storage space above the garage that has been finished out. Listing provided courtesy of Linda Gaither of Westmark Companies. 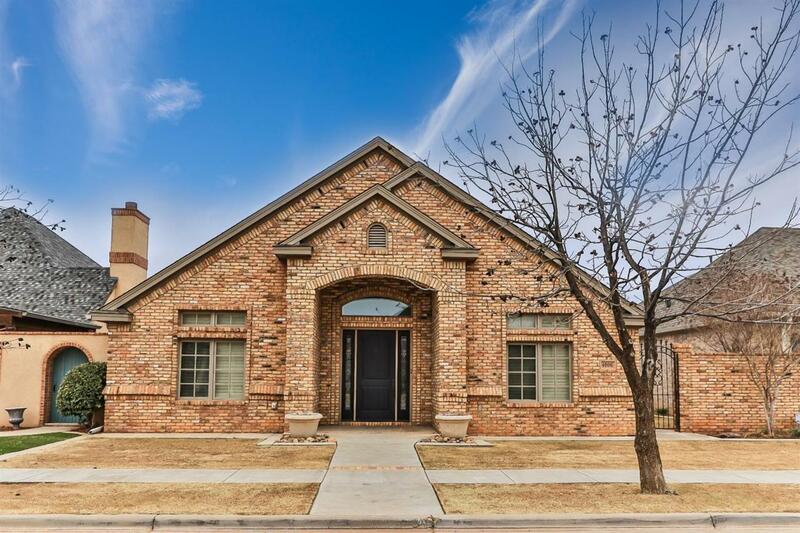 Listing information © 2019 Lubbock Association of REALTORS® MLS.